It’s been a little over a month since software developer Ed Summers created the Twitter account @congressedits, which tweets out any anonymous Wikipedia edits made from Congressional IP address ranges. And it looks like it’s finally found something newsworthy, if unsurprising: Somebody in the House Of Representatives is transphobic. 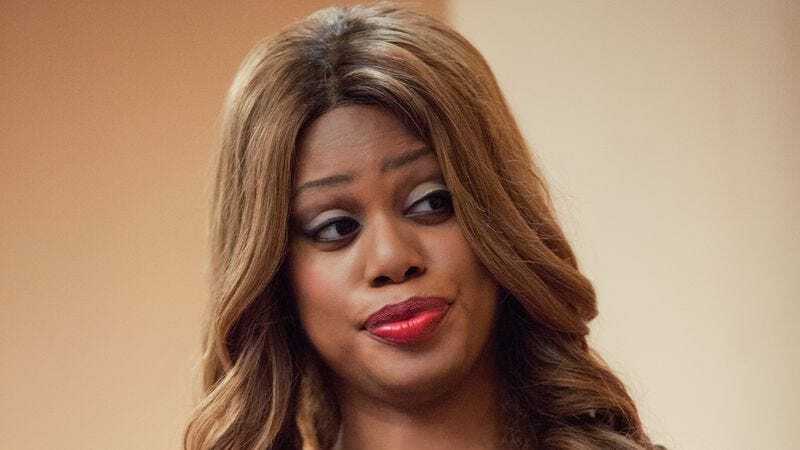 Shortly after 10 p.m. last night, somebody from within the House Of Representatives changed the Wikipedia entry for Laverne Cox, a transgender actress who plays transgender inmate Sophia Burset on Orange Is The New Black. The entry originally said that an article in The Advocate “touted that Orange Is The New Black contains the first ever women-in-prison narrative to be played by a real transgender woman.” But the anonymous elected representative (or someone from their staff) changed the line to the hateful “a real man pretending to be a woman.” The elected official (or their staff member) also added a link to a National Review article published last month that claimed Cox is “not a real woman.” The IP address was banned from making edits for one month. 143.231.249.138 has been repeatedly blocked for short periods but since his return this week has resumed disruptive edits, including attempts at spreading hate speech, and otherwise vandalizing Wikipedia with typically malicious contributions. Admins must stop pussyfooting around this willful, long-term abuse just because it emanates from the U.S. House of Representatives. That’s all the more reason to take immediate and, for once, “decisive” action. Laverne Cox earned her first Emmy nomination last month for her work on Orange Is The New Black, and was on the cover of Time magazine in May. In related news, Congress remains less popular than Jar Jar Binks.